On Thursday 18th February, we are seeking assistance in assembling some Maths resources for each of the Year 1 and 2 parents. 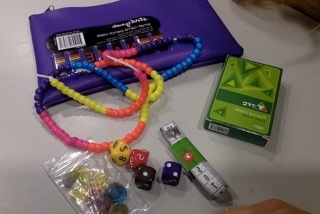 The teachers would like to create a "Maths pencil case" for each student that includes tactile maths equipment that will greatly assist in the students learning. This should only take a few hours. If you can help please contact the office by Tuesday 16th of February and I will be in further contact with you.